Number of people and room type does not match! A single room is for 1 person with 1 single bed, single supplement required. 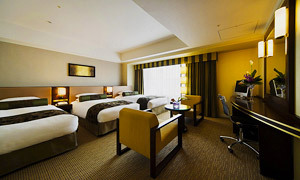 A twin room is for 2 people with 2 single or 2 twin size bed. A triple room holds up to 3 people with 3 single size beds or 2 beds and 1 roll-away. When booking through Japan Deluxe Tours, you may purchase your own flight(s) with our land-only tour package. If you do, we ask you contact us before hand. If a tour is cancelled or the dates are changed, you will be responsible for any costs or fees. Please select the number of travellers that will require airfare calculation for your Japan tour. Your requested flight dates will be booked by our reservations department. You will be contacted with the flight and airfare details by a reservation agent shortly. Flight pricing and availability subject to change, we will email you with a final price confirmation. Please select departure city and airfare passenger. You can extend your vacation before or after your tour with the same accommodations at your arrival and/or departure city (note: breakfast is not included). You will need to purchase airport arrival transfer(s) when you extend your stay before or after the tour. 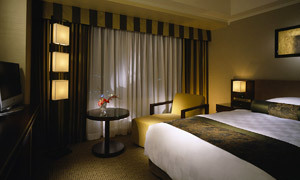 Your requested hotel dates will be booked by our reservations department. You will be contacted with the reservation details by an agent shortly. Please note, certain hotels and hotel pricing are not guaranteed due to availability when booking. You will need to purchase airport departure transfer(s) when you extend your stay before or after the tour. Your airport transfer maybe included in your tour price. Click here for detail. Please select one of the following discounts to be applied to your Japan tour purchase (one discount per person / can be combined with promo code). never share the data with third parties. Need immediate assistance or questions?